Oslo, Stavanger, Lysefjord, Bergen, Flam, and more! Explore Norway's land of a thousand fjords, the great outdoors, charming towns, countrysides and gay scenes in Oslo and Bergen. The essence of Norway's appeal is remarkably simple: this is one of the most beautiful countries on earth. Impossibly steep-sided Norwegian fjords of extraordinary beauty cut gashes from a jagged coastline deep into the interior. 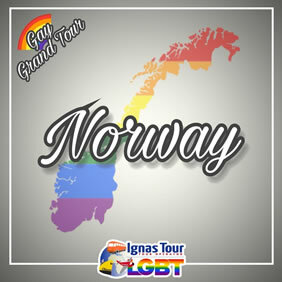 Norway was among the first countries in the world to give equal rights to everyone no matter whom they love, and most Norwegians have a liberal attitude towards gay people. If you arrive early we recommend you to buy the Oslo Pass. You can purchase the pass at the Tourist Information Centre or through hotel receptions and many other official sale points in Oslo. The Oslo Pass is a terrific value that will allow you free admission to many attractions and museums as well as special offers to many restaurants, shops and more. Surrounded by mountains and sea, this compact, cultured and fun city has a palpable sense of reinvention. Come to Oslo to pay homage to Edvard Munch and Henrik Ibsen, the city’s two most famous sons, by all means. But don’t leave without discovering something of its contemporary cultural life too. • Buffet Breakfast and in the morning you will be picked up by a private driver that will drive you to Oslo Central Station to board the train that takes you to Stavanger. • The whole journey takes approximately 8 hours. Relax and enjoy the view of the contrasting scenery of south Norway, as the train passes Kristiansand on its wayto Stavanger. • When you arrive in Stavanger you will be transferred to your hotel. • Enjoy your afternoon and evening in the beautiful coastal city Stavanger. • Stavanger is Norway’s third largest city with a settlement history that stretches back to 1125. Today the city is the center of Norway’s offshore oil industry, however, the city is keen on preserving it’s past. • Enjoy a walk around the city centre exploring the 18th- and 19th-century wooden houses while relaxing and the savoring the atmosphere. • Dinner on your own and overnight at your hotel in Stavanger. 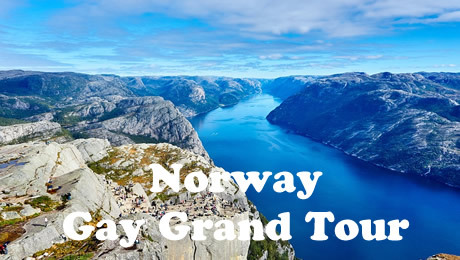 • Buffet Breakfast and departure for a 3-hour boat excursion to Lysefjord, and one of Norway’s most iconic places, where you can see the Pulpit Rock. • After your excursion, the afternoon and evening are free to explore the city and enjoy the diverse attractions in Stavanger. • Here are some that we recommend: The Old Stavanger area, Stavanger Cathedral, built in 1125. Next to the cathedral is a tranquil small lake with a fountain called Breiavatnet. A nice place to relax in the city centre, and there are many nice restaurants located alongside the lake. • City bikes are for rent throughout the city at designated bicycle racks. If you would like to experience the city on a bicycle, the City of Stavanger tourist information booth sells the necessary electronic card for using the city bike system. This is a great way to discover the city at your own pace and to cover more ground than on foot. • Optional Day Tour: Hike to the breathtaking Pulpit Rock! 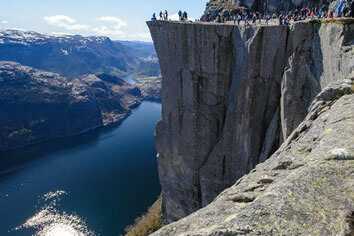 This hike was chosen by Lonely Planet as one of top ten most spectacular viewing points in the world. If you are keen on to hike this famous hiking route. We can assist you to organized your hike for this day. • Buffet Breakfast and transfer to the bus station in the city centre to take the coastal bus to Bergen. 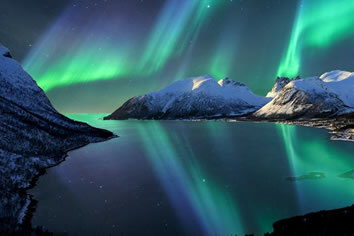 • Enjoy the scenery of the beautiful west coast of Norway while travelling through fjords and the coast line. • This journey includes two ferry transports where you can enjoy some meals and snacks, and just sit back and enjoy the view from the boat. • After the arrival, you will be picked up by a private transfer that will drive you to your hotel. • Dinner on your own and overnight stay at your hotel in Bergen. • Buffet Breakfast and meeting with your guide in the reception, who will take you on a 2 hour walk around Bergens most known sights. 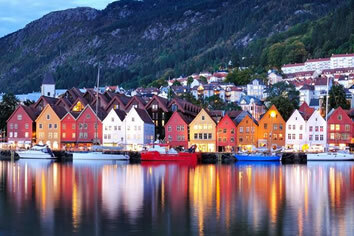 • Bergen has many excellent museums, galleries, cafes and a friendly atmosphere that belies its large size. • Despite being located so far north, Bergen is one of the warmest cities in Norway and remains relatively temperate due to the Gulf Stream. Outdoor activities abound in the area as the mountainsand sea are literally at your doorstep. 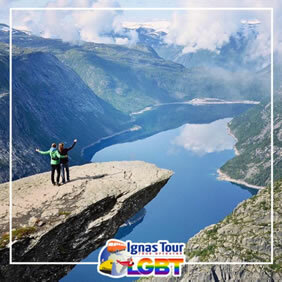 • We recommend that you visit Bergenhus, stop at the Bergen Fish Market, take a tour with the cable car up Mount Fløyen or Mount Ulriken, or hike to the summit of one of the Seven Mountains and enjoy a panoramic view of Bergen and the archipelago. • Dinner on your own and overnight at your hotel in Bergen. • Buffet Breakfast and transfer to the railway station. • You will board the Bergenbanen train early in the morning to Voss. • Bus will wait after you in Voss for your journey to Gudvangen in Aurland. • One of the highlights of the journey is waiting for you in Gudvangen, the fjordcruise to the UNESCO World Heritage Nærøyfjord, the narrowest fjord in Europe. • The boat will sail you to the lovely village in Aurland, Flåm. In 1960 most of the people in Flåm were farmers, nowadays most of the inhabitants work in the tourism industry or on the railway. • We recommend the Flåm Railway Centre (free admission) and Ægir brewery and pub. • Dinner on your own and overnight at your hotel in Flam. • Buffet Breakfast and enjoy the village Flåm in the morning. • In the afternoon you will travel with Flåm railway through fairytale landscape, with beautiful waterfalls and deep blue fjords that this area is known for. • The train will stop at the mountain railway station of Myrdal. Here you will switch to the Bergensbanen journey to Oslo. • Many people say the railway between Oslo and Bergen is one of the most beautiful railway journey in the world, and this side journey with Flåm railway is the most stunning section. This Journey will literally and figuratively leave you breathless! • After arrival in Oslo you will be transferred to your hotel. • Buffet Breakfast and meeting with your guide in the reception, your guide will take you on a walking around Oslo's most known sights. • Be ready to admire Oslo's must-see local landmarks. First stop Oslo National Opera and Ballet House, a famous example of Scandinavian architecture, where you can enjoy a spectacular view of the fjords on one side and the bustling city life around Karl Johan Gate on the other side. 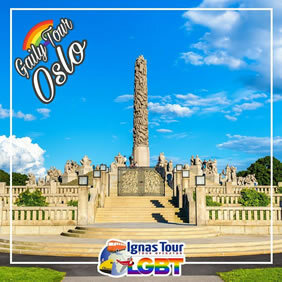 • In the afternoon participate to a very special LGBT walking tour of Oslo together with our LGBT Friendly Tour Guide. • Explore the alternative and hipster area of Grünerløkka. From free thinkers and artists to street art and parklands. The district lies on the east side of the river, behind the old industrial buildings. • Here you will discover numerous little cafés, restaurants and bars. This area is also a popular shopping district, with original design shops and many vintage and second-hand stores. • Afterwards continue to one of the most famous sights of Oslo, the Munch Museum. Edvard Munch has a unique position among Nordic painters and is considered a pioneer in expressionism. The Munch Museum's collection, left to the city of Oslo by the artist, consists of paintings, graphical prints and drawings. Discover the Sexuality of Edvard Munch and the secrets behind his painting "Bathing boys". • You could use your last day as well for last minutes shopping in the city centre or enjoy café on one of Oslo’s roof top bars or cosy cafes. • Breakfast in the hotel and transfer to the Oslo airport. Overlooking Lake Breiavatnet, Thon Hotel Maritim offers free Wi-Fi, a popular buffet breakfast with organic options and rooms with cable TV. Stavanger Train and Bus Station is a 3-minute walk away. Stavanger’s waterfront and Old Stavanger are both within a 10-minute walk from the hotel. Several shops, bars and restaurants can be found in the nearby area. Each guest room at the eco-friendly Thon Maritim Hotel has a private bathroom with shower and a work desk. Some rooms also include a seating area. The sofas in the outdoor area are ideal for relaxing with a drink. Other facilities include a guest lounge and a 24-hour reception. Situated in Bergen, a 10-minute walk from Torgalmenningen Square, Grand Terminus offers a 24 hour reception and a garden terrace. It has classical rooms with satellite TVs, free Wi-Fi and a minibar. The UNESCO-listed Bryggen Wharf is a 10-minute walk from the hotel. Fløibanen Funicular is located 850 m away, and provides easy access to Fløyen Mountain. Guests at Grand Hotel Terminus can enjoy a breakfast buffet every morning. Terminus Whiskey Bar offers a bar menu with snacks and drinks, as well as a rich selection of beverages. Coffee and tea are available around the clock. Leisure options include a wellness centre with a gym. Relaxation options include a sauna. Guests can make use of the hotel’s free bicycle rental to experience Bergen. This refurbished 1800s manor house is in Flåm, 200 m from the Aurlandsfjord. It provides a restaurant, a large garden and free WiFi access. All rooms have views towards the Aurlandsfjord or the surrounding mountains. Flåm Station and the Flåm Line are within 5 minutes' walk of Hotel Fretheim. The ski centre Myrkdalen Mountain Resort is less than 45 minutes drive away, and the ski centres at Voss, Hemsedal and Geilo are less than 2-hours drive away. Fretheim Hotel's individually decorated rooms feature a seating area, an electric kettle and a private bathroom. Fretheim's restaurant serves Norwegian cuisine based on organic, locally sourced ingredients. In summer, guests can sit on the terrace. A bar, café and lobby bar are also available. Other facilities include a library, a bookable hot tub and several elegant lounges with fireplaces and antique furniture. Staff can arrange hiking and guided tours of the scenic surroundings.